Natural wine – fad or future? Natural wines are everywhere at the moment, they have caused quite a stir and the Natural Wine Movement seems to be gaining momentum all the time. People are talking about them and asking about them – which is great as I want people to talk, ask and think about wine. As a name ‘natural wine’ sounds wonderful, it sounds pure and well…natural. It also implies that all other wines are somehow NOT natural. Is that fair? Are all wines that do not declare themselves to be ‘natural wines’ not natural or somehow un-natural? I know of many producers who do not like to make much of a song or a dance out of their ‘natural’ credentials, but to let their wines speak for themselves – so you can enjoy their wines without knowing that they are made from or organic grapes or on biodynamic principles. So, are their wines unfairly assumed not to be natural? I think so. A part of me thinks that the term ‘natural wine’ is so massively positive towards a small minority of wines that it becomes overwhelmingly negative to the remainder – it implies that there is something wrong and artificial with all other wines. It is a bit like the anti-abortion people describing themselves as ‘pro-life’ – as if those of us on the other side of the debate are somehow opposed to it. That makes it a very successful marketing term, but I think it is unfortunate as it is very easy to latch onto with very little knowledge. I have been astonished quite a few times of late by how fierce some people’s support of the ‘natural wine’ movement is, how extremist their views and how contemptuous they can be of other wines. At almost all of my tastings nowadays someone is dismissive to the point of rudeness about wines that do not come under the ‘natural wine’ heading and yet nobody seems to really know what it means. Including me – so let’s get a definition or two. Hand-picked, organically or biodynamically grown grapes. No added sugars, no foreign yeasts. No other additives for mouth-feel, colour, etc. No micro-oxygenation or reverse osmosis. Spare a thought for Champagne, Sherry and Port – there is a pretty high level of intervention in their production. I say almost won me over, because I was sitting at my desk reading the paragraph above and thinking how right it was, before I remembered something – there is an awful lot of middle ground that argument ignores, the choice of cheese is not limited to processed or artisan at all. What about delicious cheeses that happen to be branded and packaged well, like Boursin and Caprices des Dieux – I enjoy them both, but know they can make no claim to be natural as they were dreamt up to be brands in the relatively recent past? That is the trouble with the people when they become radicalised, they forget about the shades of grey and the middle ground – which in my experience is often where most people are. So, we now have some agreement on what a ‘natural wine’ is and much of it is admirable and all of it makes perfect sense. What of course it does not do, by definition anyway, is make the wines better quality or make them taste better. Many wines made from organically grown grapes are actually quite nasty, so that is not a benefit unless the winemaker knows what they are doing. Too many organic producers over the years have fixated on the organic part of their production and forgotten that it is pretty pointless making an organic wine that is not pleasant to drink. As for bioydynamic wines, I frequently rate these very highly, but am pretty certain that is because the people who make them are passionate and dedicated and the process of growing biodynamically makes growers really pay attention to the vineyard and to use a lot of care in what they do. Hand harvesting can have advantages, but there are disadvantages too, so that does not help the quality argument. Not adding yeasts is an interesting one, it sounds good to use the natural yeast, the wild yeast and it can give excellent results – Errazuriz have proved that for years with their delicious Wild Ferment Chardonnay and Pinot Noir from Chile‘s Casablanca Valley. Using the natural yeast can also cause problems and produce odd flavours, so it is not always a virtue. 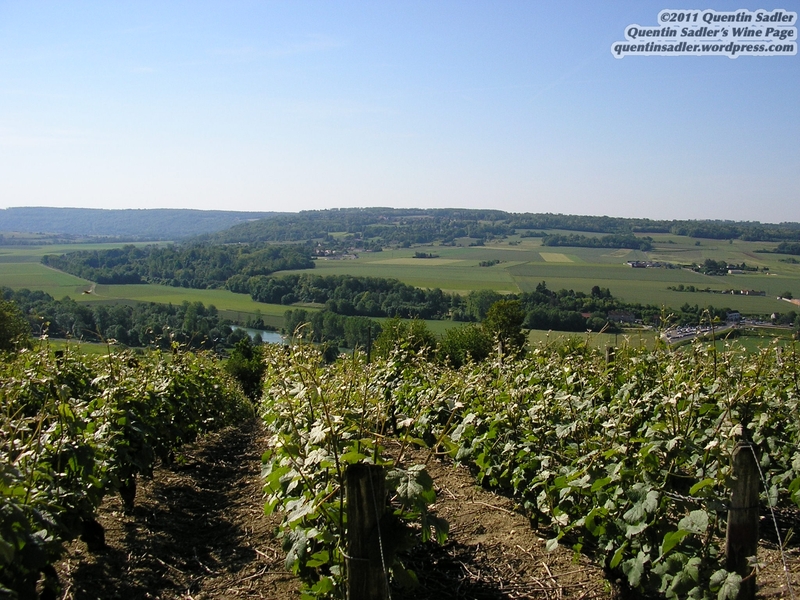 Neither is it all that unusual or noteworthy – in fact it is quite common practice in Burgundy. Not adding sugar is a misleading point in my opinion, I often have to explain to consumers that wines do not have sugar added to make them sweet – whether they believe me or not I do not know, as people tend to believe the Chinese whispers from what someone told their best friend in a wine shop once rather than what I know to be true. Sugar is only added to wine in very controlled ways to help fermentation. The process is called Chaptalisation and is the adding of sugar to unfermented grape juice to make the alcoholic fermentation happen – it can be useful in cool years or regions. So, is that a bad thing? Not rectifying the acidity could refer to adjusting the acidity of the soil, but I will assume they mean that there is no change made to the acid levels in the wine. Well if the wine has undergone Malolactic Fermentation, as many of the wines must, then that statement simply is not true – that process lowers acidity. I assume they mean that no acidity is added. They seem to presume that adding or adjusting acidity is inherently bad, I do not know that to be a fact. Adding little or no sulphites is the cruncher really, the use of SO2 as a disinfectant and preservative is widespread and long established – many claim the Romans used it and written records certainly show its use in the Middle Ages. Obviously Sulphur can be dangerous which is why its use in food and drink is highly controlled and regulated and why all bottles of wine carry a warning about it. Strangely I think that sensible warning on each and every bottle of wine has caused more trouble than it is worth because many consumers seem to assume that sulphur has only been added to wine since it started being mentioned on the label and that it is therefore some dangerous new industrial process – when actually that warning could have applied to wine throughout history. Personally I am bad at detecting sulphur so it does not really trouble me, but I understand that some people are bothered by it. The trouble is, as sulphur acts as a preservative, if the levels are too low then the wine can change beyond recognition between the winery and the drinker. That could be a high price to pay for perceived purity. So, as far as I can see – and despite its name – the points in The Natural Wine Fair Charter of Quality represent a preference and simply do not have any direct bearing on the quality of any wine made that way – they can affect the quality if the wine making is good, but it will not necessarily follow. Guess what, that is the same for any wine at all – ‘natural’ or not. By now you may well have detected a note of cynicism in my view of ‘natural wine’ and you would be right, I am cynical about it and I will tell you why. 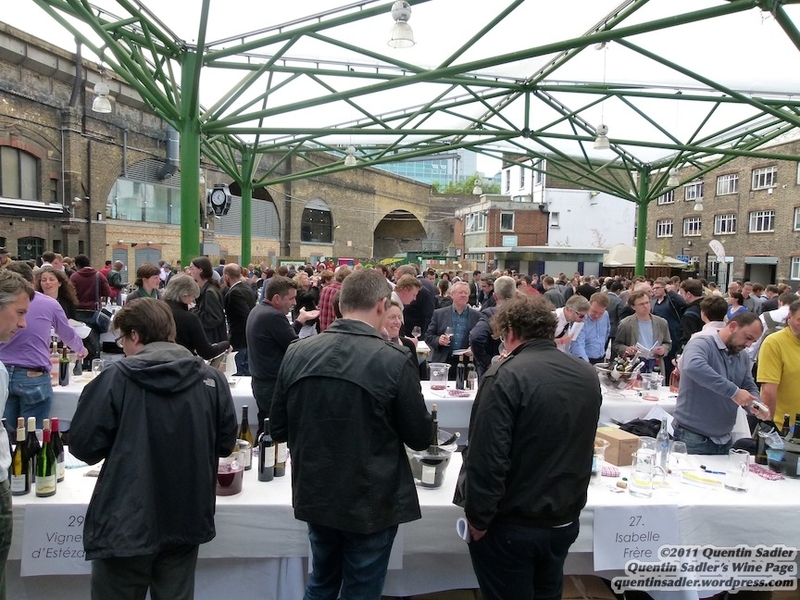 I tasted a good few wines at The Natural Wine Fair and I have tried many ‘natural’ wines elsewhere too – before and since – a good number of them were fabulous, well made, elegant, balanced and delicious, but some weren’t. Some were very hard to drink, oxidised and unpleasant. Some of them however are amongst my favourite wines of the moment, but not because they claim to be ‘natural’, but because they are really good wines made with flare and passion by people who care. As long as a wine is good I do not let how it is made prejudge my view of its merits. In my opinion what matters is the liquid, the quality of the wine. Let’s celebrate good quality and delicious wine rather rather than obsess about how it is made. Thank you, Quentin, for this well considered post. Wine is so diverse and is a ‘product’ that has such an enormous choice (I believe that there were more than 5000 different wines to taste at the recent London International Wine Trade Fair) so it is understandable why people try to categorize them. Whereas Organic and Biodynamic wine production are regulated, ‘Natural wines’ is not. I too visited the Natural Wine Fair and did enjoy many of the wines there. I applaud the endeavour of those producers and proselytisers of the cause of Natural wine, as their zeal can only encourage better wines from grapes grown with more care and consideration. But they shouldn’t ‘knock’ so-called unnatural wines, as ALL wine is unnatural. It reminds me of people who say that they will only drink Bordeaux because ‘the best wines come’ from that region. As we know some pretty awful wines come from there too. Thanks Brett, I agree with all that. I applaud good and well made wine however it is done and the less intervention there is the better. I just worry that some people seem to believe that the process is more important than the finished wine! Your comment made me think of the logistics lecture when I studied WSET Diploma. The lecturer (director of a big haulier) pointed out that ISO (International Organization for Standardization) certification in no way guarantees quality, just that the method of production is of a good standard. Just as AOC etc is called ‘Quality Wine’, but only ensures provenance in fact. Pleased to meet you and thanks for this post. I appreciate your level and logical approach to the topic. Some parts I agree with some not, but I think the more this debate continues forward on a friendly and articulate fashion the better. This excitement about Natural Wines has corresponded with a bunch of changes, not least of which are the move towards ‘natural’ and organic in food but as important, the rise of the social web and the changes in commerce putting the Customer not the Company at the center of the commercial world. This is important because the mass market, educated, connected, curious and empowered by the social web is turning their eyes towards wine with excitement and interest. Their filter to some degree falls under the category of ‘Natural’. The opportunity here is significant for educators like yourself and passionate enthusiasts like myself to start to give information to the mass market to pique their interest. Wine is a wonder and a challenge to talk about. The market doesn’t need numerical scales nor being told to learn first, have opinions later. They need to have information/education from their perspective up. What many are doing (and there has been a lot of hubbub lately) is talk down the mass market. Talk down to the need for categories like Natural and point to the problems in the category itself. I think that people want to love wine more and more. Want natural foods and natural wines along with it. And they are searching for language to build their own value scales. The wine industry and the educators need to talk to the market in their language and they will start to ask the questions that raise questions in their own mind. I think the more the debate is about how to appreciate wine made from a natural perspective and less about how one approach is better than the other, the better. One question…you say that hand harvesting has a negative impact. How so? I consult and write about the change on business that a socially connected world brings @ http://arnoldwaldstein.com and for my networks and friends, about Natural Wine @ http://arnoldwaldstein.com/wine. I’m considering a series of posts for my audience on this topic an may reach out to you for some ‘expert’ opinion as I like your approach if that is ok. Thanks for the reply. Actually I did not say that ‘hand harvesting has a negative impact’. I said that hand harvesting ‘can have disadvantages’ to it, a very different thing – they would primarily be the speed it can be done, which might be too slow if bad weather is on it’s way – see Patricia Atkinson’s ‘The Ripening Sun‘. Hand harvesting might also be too costly and make an otherwise decent little wine too expensive for its category. The point I was making is that people seem to be given the impression that hand harvesting is good and machine is bad, a bit Orwellian, when the truth is never that certain! Please do, I like contact with my readers. Great post Quentin. I too went along to the Natural Wine Fair to see what all the considerable fuss was about and I too tasted some really inspirational wines – some beautiful (albeit expensive) Roussillon reds and a fabulous Anjou white amongst others. As for the ‘orange’ wines, I tasted extensively and would say they were fascinating and thought provoking – white wine with tannin? But I’m not sure I’d want to buy / serve / drink them as a matter of course. As the aim with these wines is to present wines in their ‘naked’ state, I think ‘naturist wines’ would be a better (and less stigmatising) title! Great post – sensible, well thought-out and above all no repetition of the usual sensationalist clichés that unfortunately can be read so often in articles about natural wine! “The proof is in the bottle” is one of my fundamental beliefs! I think it’s obvious that some natural/organic/biodynamic/whatever wines are bad, just like some Burgandies/Chiantis/whatever wines are bad! I really don’t know who’s going around saying that all natural wines are somehow ‘better’. It’s just ridiculous! The wines and wineries in the “shades of grey” are a really interesting area. I dont know this for a fact but I’m pretty sure (intuitively, subjectively, irrationally) that there must be thousands of such wines/wineries that are practically ‘natural’ but they themselves don’t even know it or don’t advertise the fact. It’s not really just “us” (nat winemakers) versus “them” (industrial-chemical wineries) though it may seem that way because 1) some nat winemakers are very vocal and charismatic and 2) ind-chem wineries represent maybe 90% of all wines sold and drunk! I believe that there are other silent players out there, and it’s not so simple. The Natural Wine Fair’s Charter of Quality with its 6 points is as good as any! Next years’s may be different and another natural wine event’s charter might endorse a different set! Until a government agency legislates and lays down the law (as for “organic”) then we’ll all just have to use our (un)common sense. Lastly a bit of nitpicking! (I had to look long and hard before I could find something in this excellent article!) re ‘Hand-harvesting’. I can understand that there may be some economic disadvantages to hand-harvesting, but how could there ever possibly be any quality disadvantages? In general (excluding any extraordinary or improbable scenarios) hand-picking will always deliver higher quality grapes than machine-picked ones. Just to pick you up on your nitpicking – I do not say in the piece that there are any quality disadvantages to hand harvesting, just that there can be disadvantages, speed mainly, but cost too. Check, you will see that I am right. I merely make the point that it is not as simple as one way good and another way bad. The time/speed/cost thing applies to other aspects of producing quality grapes, as I’m sure you know. Organic farming of any sort is generally more costly due to the higher cost of labour, though this is compensated in part by not having to buy chemical pesticides, fertilzers, etc. Funny,,, this is forever the industry talking to itself. Of course you are correct that the it’s all about taste, Been blogging on that for a bit. BUT.. the upside here is that the market has already adopted this category and it is a good one. We can fuss over the the words and the plus’s and minus’s but there is a stream of wine interested consumers who don’t want to nit pick, they just want to taste and buy and enjoy. That is the audience. Time to make the category useful and the debate in their terms. Arnold, yes, it is mostly the industry talking to itself, but then again, it’s the industry/trade people who are most insterested and enjoy all these details and picking nits! I like to think that there are, as you say, a stream of wine interested consumers out there, which is why I try to make good quality wines that express my local terroir, (and put the proof in the bottle! ); but it’s not often that such consumers give any feedback on a blog! I do find it interesting and important to thrash out all the doubts and misconceptions and pick nits. Maybe I need to log onto consumer-oriented site as well as industry-related ones!!! Well-balanced article Quentin. I was also at the Natural Wine Fair and tasted some pretty tasty wines as well as some thought-provoking ones that are perhaps commercially a bit more challenging. I agree with Fabio that the 6-point charter is a great starting point and I could mention many more wineries that would fit into that charter, but perhaps choose not to in order to leave their winemaking options open. Must be quite a few in the new world as only one winery (Jasper Hill) was present at the Natural Wine Fair last month. It will be interesting to see if that changes next year. I see the issue here as the media and marketeers who are choosing to categorise these wines as “natural”. My area, the Languedoc, was strongly represented at the London fair. The growers have been around for years and all they’ve been doing is honing their processes to try to express the terroir, or sense of place if you like, of their patch. Some meet the Wiki definition of natural and some don’t. Whatever, they and their wines are getting exposure to the UK market under the “natural” label. it seems far more powerful than a group of importer/merchants presenting country wines could ever be. People use labels as filters to find what they like. Natural is a great filter for the mass market to discover wines that speak to their tastes and beliefs. We buy food that way; it will carry over into wine and develop more granularity over time. I see this as only a good thing. Yes, I believe that the recent popularity (or hype) about natural wine is part of a much wider and older trend that has been happening for decades: ie, ever-increasing awareness of the environment, pollution, health-issues related to food production, etc. The only thing that’s changing really is the creation of a category and a name for it, ie “Natural Wine”. It’s what I meant is my previous comment about the ‘grey area’, ie wineries that have always respected the environment and produced natural wines – the only difference now is that they have a category to slot themselves into if they want to. Very handy for marketing and sales of their wines – and more or less free! Fabio…we agree with passion on this one. You know my beliefs and my posts on this. Though the more you term this as ‘hype’ and ‘marketing’ as pejorative the more we distract from what’s happening. ‘Natural’ wine is a filter or a ‘category’ that the market (the consumers) is surfacing as a way to direct their interests. Doesn’t happen often but it is being embraced widely and driving more and more interest and exploration. Are there grey areas..sure. There are for food as well. The net of this is all goodness and upside because it is given a point of view for a broad based mostly new wine consumer to discover what they like. Looking forward to discussing this with you in person over a great bottle of ‘Natural’ wine my friend. I”m on a mission to insure that ‘marketing’ is understood as integral to the product itself and not as an add-on. But I didn’t mean to jump, it’s just a hot button for me. The lack of definition to this style or its production doesn’t bother me, nor would I imagine it bothering the public overall – how many non-trade people can describe a Palo Cortado? Thank you for the comments. Personally I find what you say very odd. I agree about the Palo Cortado thing, but how many people want to describe it? As for the rest, it is very sweeping and verging on propaganda, which is exactly why I am sceptical about Natural wines. Not because I disapprove, not because they are inherently bad, not because there is anything wrong in making wine in these ways, but because it is many approaches all lumped in together in a way that gives a false claim of quality. Frankly you cannot possibly make the claims that you make here for all the wines at the Natural Wines Fair. As with everything else about Natural Wine they are generalisations and that is what I really object to. Many wines were good, but more than a few were not, yet the converted choose to see the same qualities in both, purely because they are natural – that is not healthy and people would not do it for any other types of wine. Perhaps I should qualify a little or better explain what I wished to get across. Well, the Palo Cortado was, of course, just an example. Most folk involved with wine, and quite a few who simply enjoy drinking it, will attempt to understand it, no? To understand, for example, a sherry style it is important to know how it is made and, as such, be able to describe this, that’s all. Partisanship not intended. They are my observations overall as to the fare mentioned. They may have aromas that are more, or less, agreeable, they may have 11%alc and sky high acidity, they may have a whole host of things that are not to everyone’s taste. And there may be others that are wonderful by any measure. As with all wines in fact. Nonetheless, my experience in that particular fair, if it were at all representative, is that they simply didn’t display high alcohols in the way wine so often does today. And, as you know, many came from pretty hot areas in the South of France. The acidity and tannin observations, well, good natural acidity, well, good is a little subjective perhaps. Drunk young? Yeah, I’d say so. Tannins? No more than any other wine, to feel one could drink them young it’s implicit that the tannins are not too much. Again, they may be forward they may not be the finest, they may not be too everyone’s taste, they may be perfect, but they can be drunk young, that’s the observation. The final two points, well, certainly.